Napoleon Sarony. Almost ashamed to say that I had never heard of him until I opened the morning paper just now. This time not a love song on someone’s photography but on a photographer’s battle for copyright. Born in Quebec, Canada in 1821, Napoleon moved to New York City at age 15 where he soon set up a business as a lithographer. By the time he 46 he left his own firm and established a photographic studio on 37 Union Square. Napoleon photographed amongst others Sarah Bernhardt, William T Sherman, Samuel Clemens (aka Mark Twain) and Oscar Wilde. Celebrity photography was all the rage at the time, and apparently photographers would pay their subjects to sit for them and retain full rights to sell the photographs. Which brings me to why I am almost ashamed of not knowing about Mister Sarony. Napoleon Sarony took several portraits of Oscar Wilde and one of those photographs became the subject of a very important American Court Case in which the Supreme Court upheld the extension of copyright protection to photographs. Lithographer’s studio Burrow-Giles had marketed unauthorized lithographs of a portrait taken by Sarony called “ Oscar Wilde no 18” in order to show off their lithographic skills. Sarony took the company to court claiming copyright infringement. Burrow-Giles, however, claimed there was no copyright infringement as there was no copyright to begin with. According to them, photographs could not qualify as “writings” or as the production of an “author” and thus were not subject to Copyright Law. The whole affair went to trial court and Sarony was granted over $610 dollars (equivalent of $12,000 nowadays). Contrary to other visual works that could be copyrighted, Burrow-Giles argued that photography was merely a mechanical process rather than an art, and could not embody an author’s “idea”. The Court accepted that this may be true of “ordinary” photographs, but this was not in the case of Sarony’s image of Wilde. 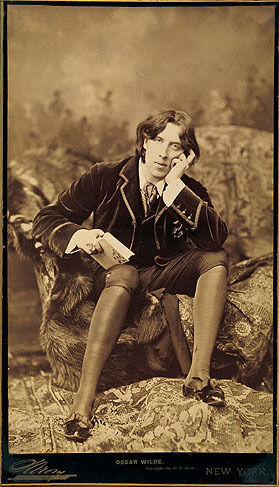 The trial court had found that Sarony had posed Wilde in front of the camera and suggested his expression, and selected his costume, the background and accessories to create a particular composition of line and light. This control that Sarony exercised over the subject matter, in the view of the Court, showed that he was the “author” of “an original work of art” over which the Constitution granted him exclusive rights. It’s interesting nuh, and still relevant. Is photography just mechanics or an art? Isn’t everybody a photographer these days? And with such fierce world-wide competition, it is necessary for your work to “get out” and to be seen. If it takes unauthorized use for a photograph to achieve that, should the maker just take one on the chin and be grateful as some have suggested? Sooo… is copyright still useful these days then? I think she’s right, unauthorized is never the way to go. The word itself should be a clue. All images by Napoleon Sarony. 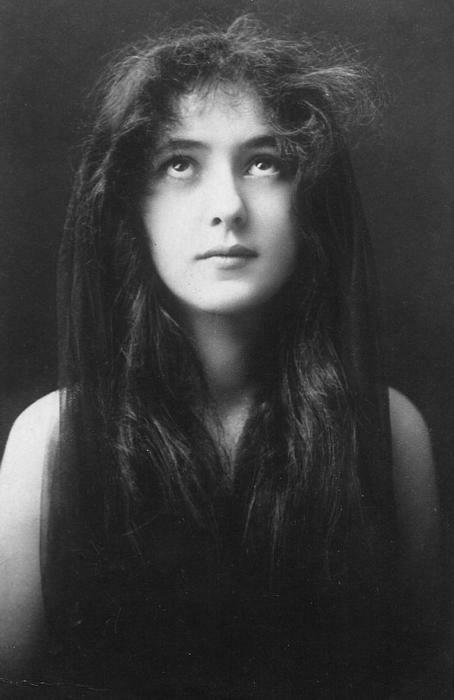 Top one of Evelyn Nesbit and the second one is photograph no 18 of Oscar Wilde.